There are some nights when I just don’t feel like cooking. I want my family to have a hearty, well-rounded meal, but I dread all the chopping and measuring and making a big mess of the kitchen. On those days, I stop by the grocery store and pick up everything I need for a simple, peasant dinner. I spend almost zero time cooking, and my family is still well-fed. Sound like a miracle? Here’s what you will need to do it your own home. 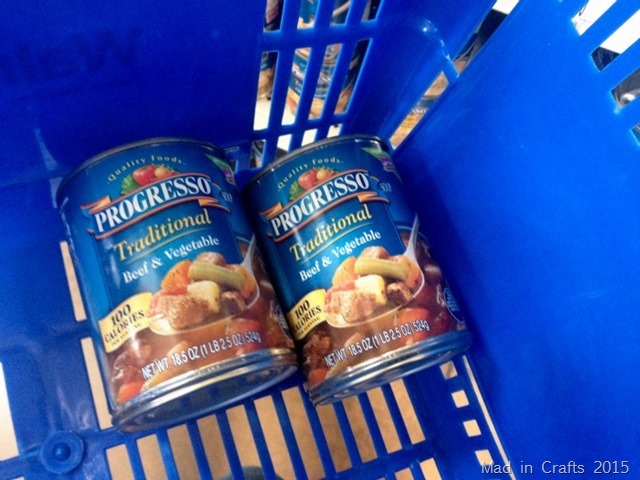 Walmart carries a variety of Progresso soups, so that is where I usually start. 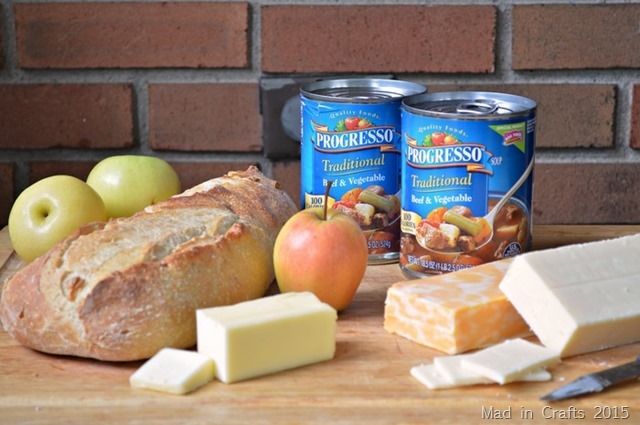 Cracking open the cans and heating the soup on the stove is the extent of the prepping and cooking I need to do. Now, to assemble the whole meal. CHEESE: If you are like me, and you normally skimp a little bit on the quality of your cheese – don’t. When you are eating cheese sliced straight off of the block, you don’t want to pinch pennies. Also, consider getting more than one variety of cheese. Buy something family friendly, like a Colby Jack, but also pick up a more flavorful cheese, like a sharp cheddar or an herbed cheese. 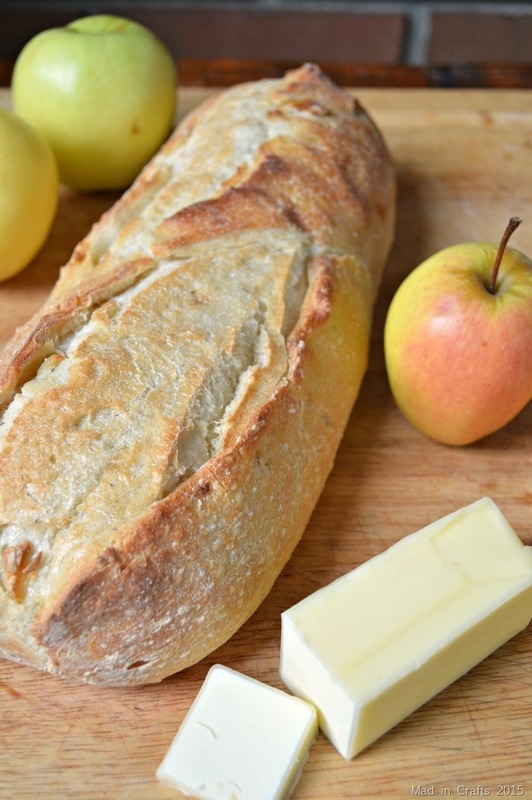 BREAD: The bread is a crucial component to this dinner. If you are buying from your grocery store, head over to the actual bakery section to buy something fresh. Choose a crusty, hearty variety. You should be able to tap it with your fingernail and hear a noise. A good, crusty loaf is essential for prime soup sopping. Oh, and it should go without saying that you will use real butter, not margarine. FRUIT & VEG: Round out your meal with fresh, raw fruits and veggies. Try to find something local and seasonal, if at all possible. Right now, Michigan is up to its ears in apples, so that was my natural choice. SOUP: The most important element of the peasant dinner is the soup. I picked up some Progresso Beef & Vegetable from Walmart, knowing that my family loves it. All I had to do was heat it up on the stove and serve it with the rest of my peasant foods. This is such a simple dinner that requires almost no time in the kitchen, but it will leave your family happy and full! Make sure you combine some of the flavors as you are eating! 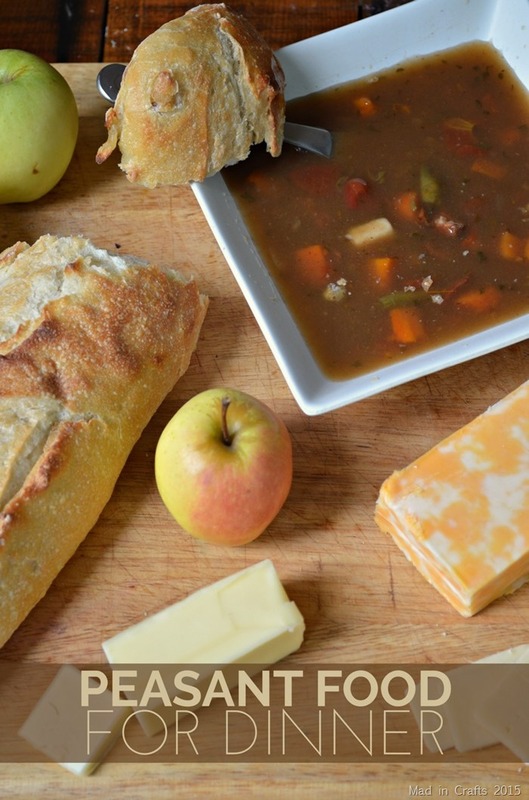 Dunk that crusty bread into the soup. 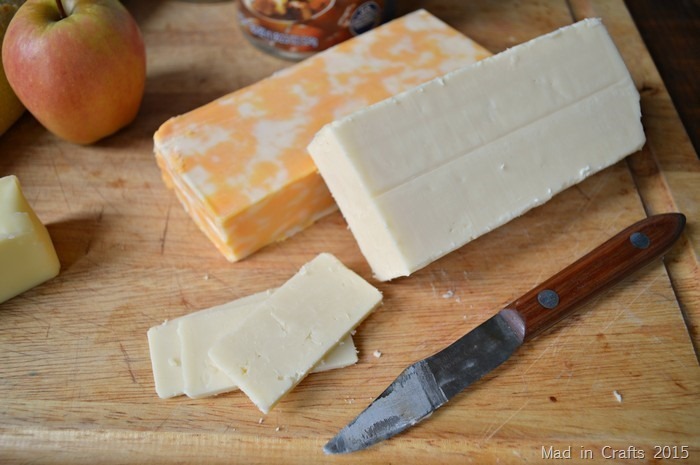 Put a slice of cheddar on top of a fresh apple slice. 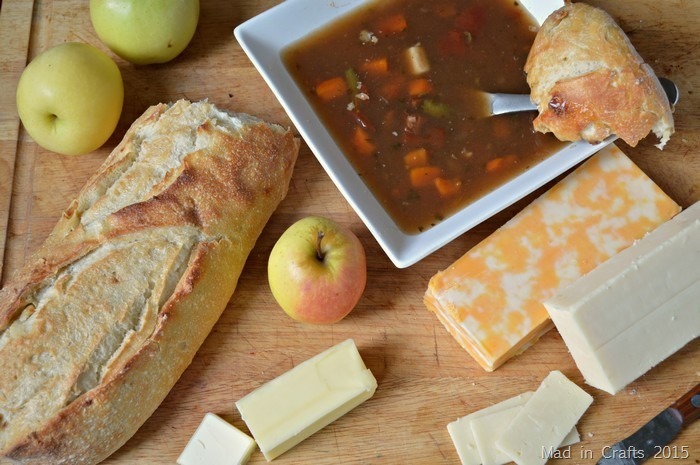 This is a delicious and comforting meal, especially on a chilly Fall evening.